In the Winter of 2017, Samuel Pyke and I paid a visit to the home of Justin Little in Vancouver, WA. Manzanita Records had the privilege to record Justin singing a couple of his latest, original songs. We also recorded some video that he edited for the patrons of his Patreon page. 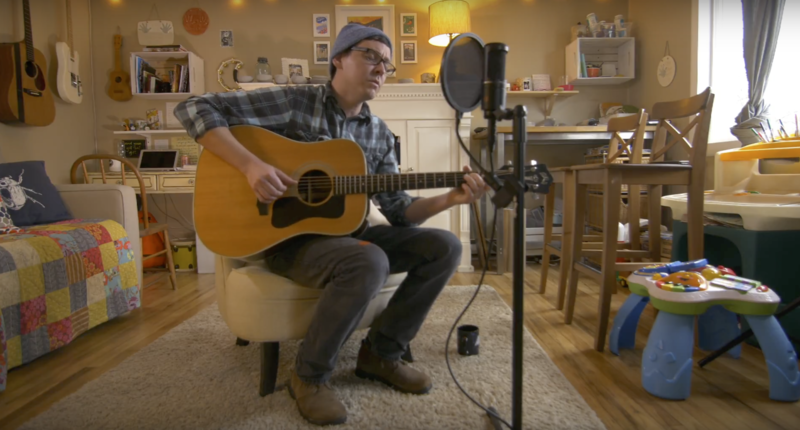 After a number of years away from writing and recording, Justin found himself in a new season of inspiration, and dedication to songwriting. When I caught wind that he was writing again, I asked if we could document some of the new music. I first met Justin Little in Central Oregon around in the early to mid 2000’s. He had recently self-produced an album of music that was well received by the community. He was attending Azusa Pacific University, just east of Los Angeles. When home from college, Justin performed at a benefit concert I was a part of called Operation Uganda. The concert was an effort to raise money for the Invisible Children movement. The concert was held at Sisters Coffee Company, and featured a number of talented singer-songwriters from the local high school. Somewhere out there are CD copies of a benefit album we created. One of Justin’s songs is on that album. Justin now lives in Vancouver Washington where he works as a child and family therapist. Visible in the video are his wife’s artwork, and the living room studio where Justin has been writing and recording much of his work.